Le Cultural Development Trust (CDT) prête assistance aux artistes émergents et reconnus et organise des formations dans les domaines suivants : gestion, finance, administration, entrepreneuriat et récolte de fonds dans le secteur artistique et culturel. Depuis 2001, l’association a aidé plus de 1.000 organisations et des milliers d’individus, en mettant en place des formations pratiques. CDT fait en moyenne entre 80 et 120 interventions (workshops, coaching, etc.) par an. La directrice, Maria Kint, parle de « développement humain » en abordant le programme de CDT. Ce dernier vise à inculquer aux artistes comment le monde de la dance fonctionne en les formant aussi bien en gestion culturelle et management qu’en technique artistique et ceci permet à ces jeunes d’élargir leurs possibilités de trouver un emploi. Avec un taux de chômage élevé et toutes les conséquences sociales que cela entraînent, la situation est difficile pour les jeunes à Okiep, au Cap-Nord. Cependant, les jeunes parviennent à trouver des débouchés dans le secteur de la danse. C’est la raison pour laquelle il est important de canaliser et d’encourager les jeunes qui travaillent dans ce milieu. Ce projet veut prouver que d’autres initiatives similaires peuvent voir le jour à travers le pays. Lisez l’article “Transforming the arts through training" de Melanie Jackson ci-dessous ou cliquez ici pour le télécharger en pdf. The Cultural Development Trust (CDT) began in 2001 as the Cultural Helpdesk, with the goal of assisting both emerging and established artists. Individuals and groups had the opportunity to receive assistance and training in a range of sectors : management, finance and administration in the arts and cultural sector. In 2002, it was formally registered as The Cultural Development Trust. The Learnership Programme, which offers learners a unique combination of project administration competencies, human resource management skills and business enterprise skills, to successfully administer arts and culture projects. The Entrepreneurship Programme enables participants to develop, conduct and manage sustainable and successful businesses and also receive ongoing support in the form of mentoring. Organisational Capacilty Building Programmes and Workshops are tailor-made training programmes that also provide ongoing support. CDT also facilitates a Mentorship Programme that enables the improvement of beneficiaries’ financial management skills, teaching them to efficiently administer funds and accurately report to the satisfaction of the donor. Maria explains that the training material is presented in a modularised format, which enables customization to suit the needs of individual beneficiary organisations. One of the positive side-effects, says Maria, is that these training programmes sometimes lead participants right back to school – accessing education and broadening their personal horizons. Courses on offer include : finance, project management, time management, running a business/NPO, fundraising and income generation. CDT has also developed an entrepreneurship game and booklet, which helps to demystify the concept of running a small business, as this can be a very intimidating experience. Staff are kept busy, as CDT averages 80 to 120 interventions each year, ranging from workshops to mentoring, and the organisation is active in sub-Saharan Africa. 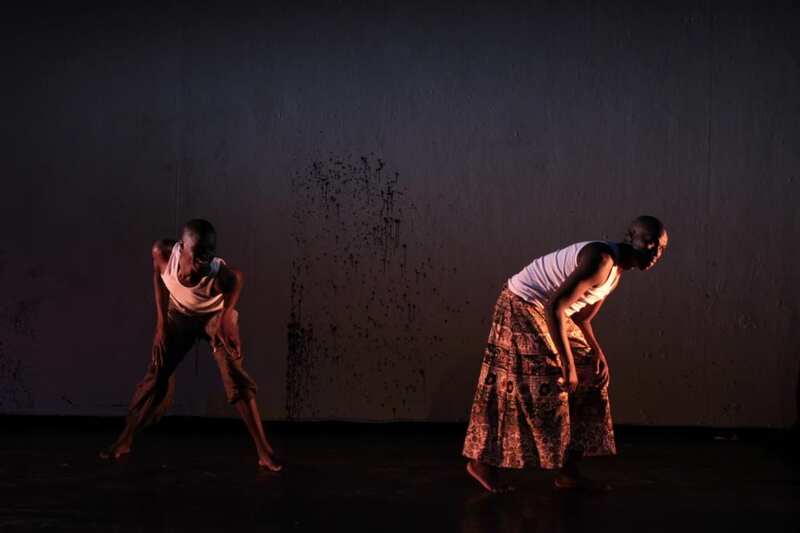 It is their strong links to a network of training institutions in the arts and performance platforms like the Dance Umbrella, a renowned South African annual contemporary dance festival, that set CDT apart from other organisations with similar goals. The role that CDT has played, supporting individuals and organisations to achieve their goals, has been invaluable and was recognised at the 25th anniversary of the Dance Umbrella in 2013, where Maria had the opportunity to speak of the amazing Africalia-funded Creative Industries Dance Development project happening in six centres around the country, in impoverished communities. Maria spoke of “human development”, through this Africalia programme, which focuses on teaching aspiring artists to understand the business of dance by skilling them with arts management modules as well as the choreographic ones – offering development opportunities that would otherwise be nothing more than a dream to these youngsters. The event also offered a platform to Alfred Hinkel, former artistic director of Jazzart Dance Theatre and now working in Okiep, Northern Cape, also as part of DanceXChange. His speech vividly painted a picture of how the young people in Okiep are finding new outlets through dance. With high unemployment rates and the consequent social ills that this brings, there is little hope amongst the youth – until you switch on the music and give them the opportunity to lose themselves in the hypnotic siren call to move. Alfred revealed the talent that has been uncovered in the Northern Cape, but cautioned that there is a great need to channel and foster this talent. His take-home comment, though, was that this project aims to create a blueprint to enable similar projects to be rolled out across the country ; and with the support and enthusiasm of organisations like Africalia, this can become a reality. Maria explains that in Africalia, CDT has found a donor who is prepared to fund training in management and administrative skills as well as in the creative development. She says that it is not enough to know how to market yourself, you have to have a product to sell – and this is not something that we are born knowing, it is something that we have to learn.